Everyone knows American University’s School of Communication (SOC) is top-notch. SOC is home to students studying journalism, public relations, strategic communication, film and media arts, and foreign language and communication media. With so many majors available, students need ample opportunity to apply those skills. Whether you want to deliver the news on camera or write and publish it, AU’s got a place for you to apply your learned skills. Check out the 10 clubs at AU that prepare communication students for the real world. Whether you’re looking to write, direct, produce, edit or be in front of the camera—ATV has it all. 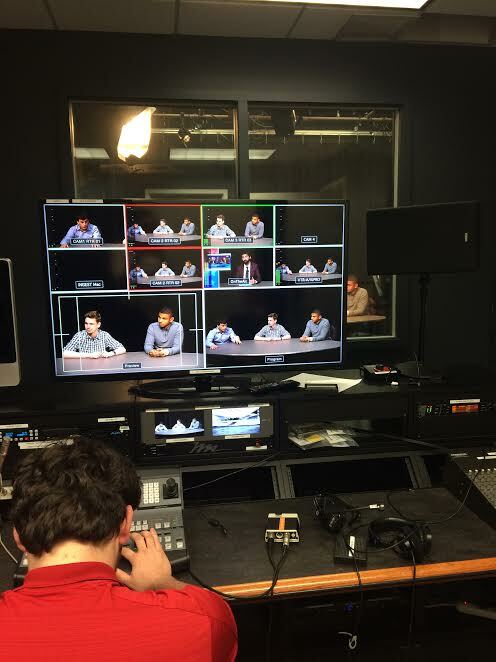 Each of the seven shows at ATV allow students to gain experience with the equipment. Plus, they can practice their writing and technical skills. The shows currently being produced include Beats, Rapid Fire, The Break, News, Special Broadcast, SportsZone and Reality. “[SportsZone] has made me realize even more that I want to do something with broadcast journalism in the future,” SportsZone panelist Jessica Cipriano said. If none of the current shows spark your interest, you can pitch your own show ideas to the e-board. The student-run campus radio station brings together creative minds who find their passion in music and the arts. 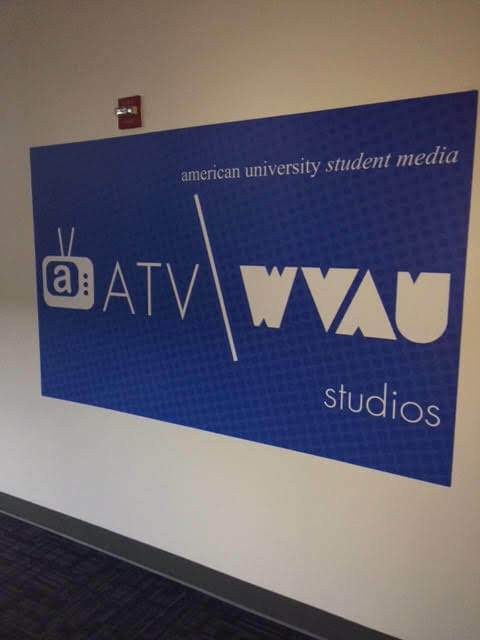 Three crews at WVAU offer multiple positions for students who want to be both on and off the air. Aside from DJs that host their own shows, the music staff receives newly released albums. They also write reviews to help DJs choose the music they feature on their shows. The art staff produces a zine called “The Stream” each semester featuring the work of student writers, photographers and artists. The web staff allows writers to explore music in any way they want and write weekly or biweekly columns for the website. Co-director of the Web Staff Kathleen Lovito said her favorite part about WVAU is how a diverse community is able to come together and relate to one another through music. AU’s campus newspaper provides students an outlet for reporting and collaborating with an editor. 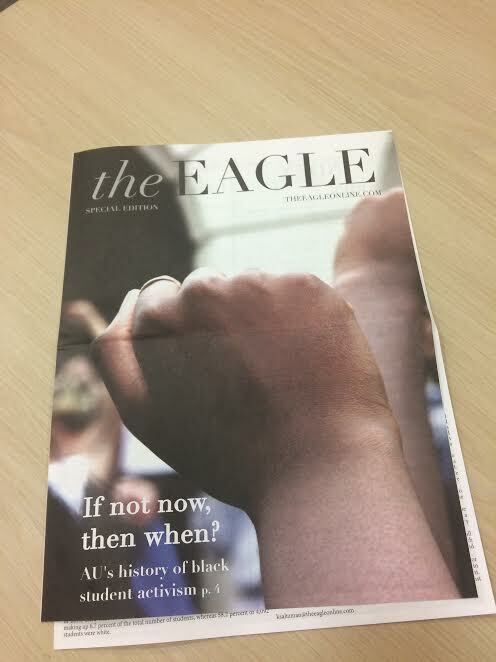 The Eagle has five sections (news, life, sports, opinion and multimedia). Students are encouraged to get involved in more than one. “Beyond the really cool people that I’ve met while on staff with the Eagle, the thing I like the most is the experiential learning afforded by writing on a weekly basis,” said Managing Editor of Sports Vince Salandro. 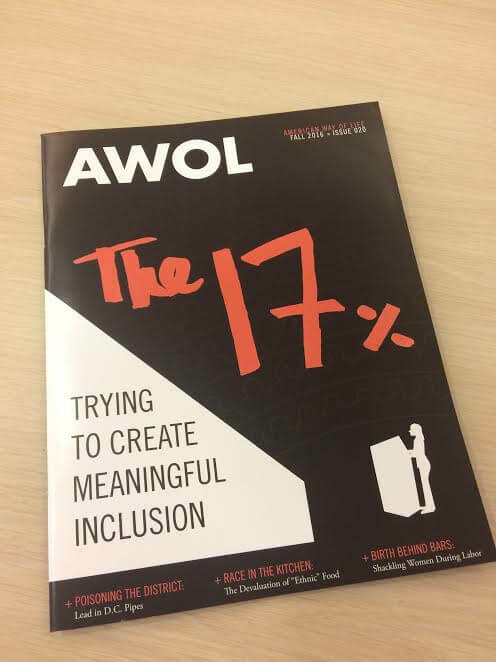 American Way of Life (AWOL) offers AU students a progressive publication seeking to spark campus discussion of social, political and cultural issues. “Our aim is to facilitate an ongoing dialogue, represent issues fairly and without bias, and work to foster a more inclusive environment on our campus,” said AWOL Co-Editor-in-Chief Jessica Wombles. Wombles continued saying that AWOL has given her a family of inclusive and welcoming individuals that she can rely on for anything. 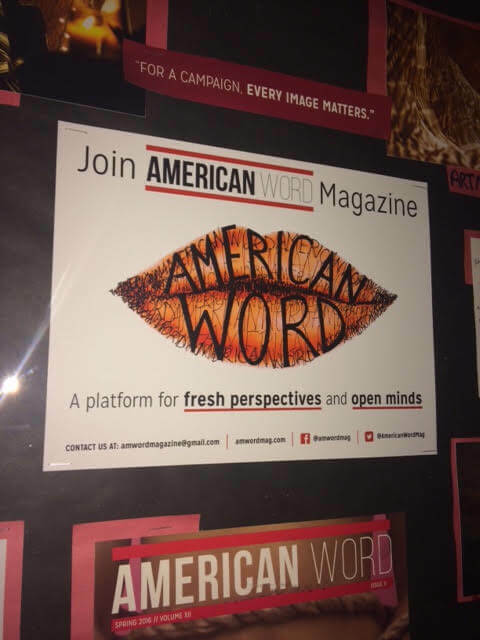 Co-Editor-In-Chief Lindsay Maizland said, “[American Word is a platform for] fresh perspectives and open minds.” Writers and photographers alike have the opportunity to capture unique stories at American Word. “Nothing makes me happier than when a writer uses an awesome quote from an interview or has a killer lead to their story, or when a photographer captures a beautiful or shocking moment,” said Maizland. One print issue publishes at the end of each semester while the website updates daily. The five sections of the publication are Around DC, On the Quad, Lifestyle, Health and Politics. Students can write for all five sections or chose the ones they like. Visual artists crave the Photo Collective. Led by faculty advisor Alexandra Silverthorne, this organization helps students improve their photography skills through shooting events that spark their interests and holding workshops to help develop their talent. “Students are full of fresh ideas and many of our conversations leave me inspired,” said Silverthorne. Photo Collective brings accomplished photographers to campus to talk to the students and hold portfolio reviews. 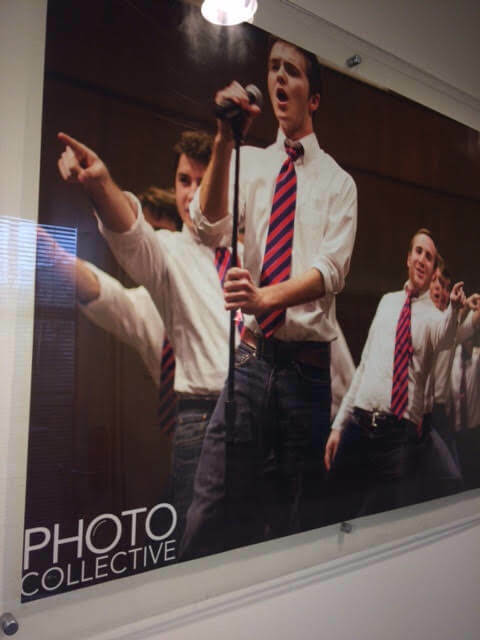 Students can have their work displayed in an off-campus exhibition and a photo book each year. 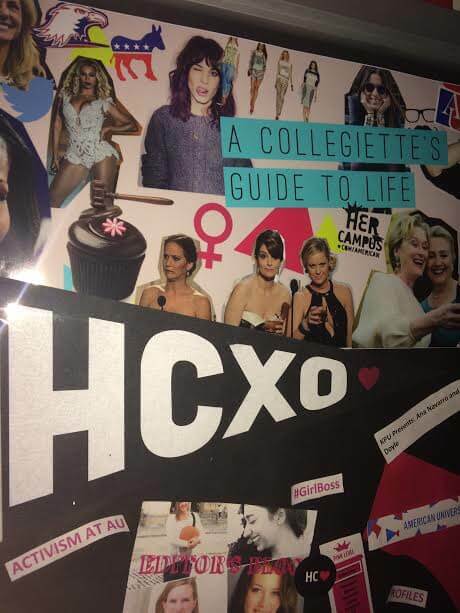 The Her Campus publication remains active on hundreds of campuses, ranking in as the number one global community for college women. Current President of Her Campus American Chapter Arielle Witter loves the empowering community the publication creates for women on campus. 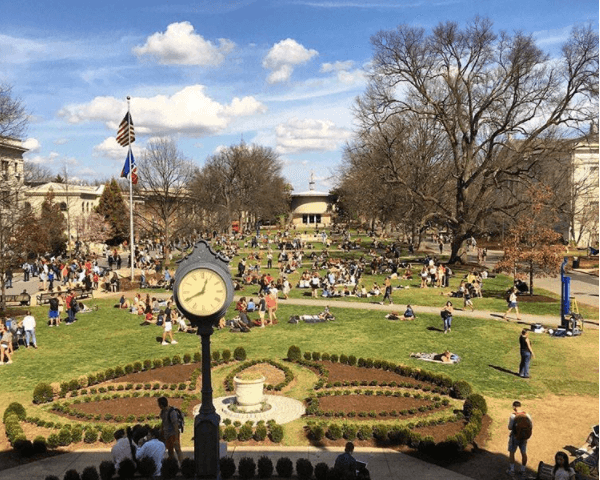 “[Her Campus] provides us with a platform to communicate our thoughts and ideas, tackle important issues, as well as creates an awesome network of young women to connect with,” said Witter. The publication offers positions in writing, editing, event coordinating and social media. 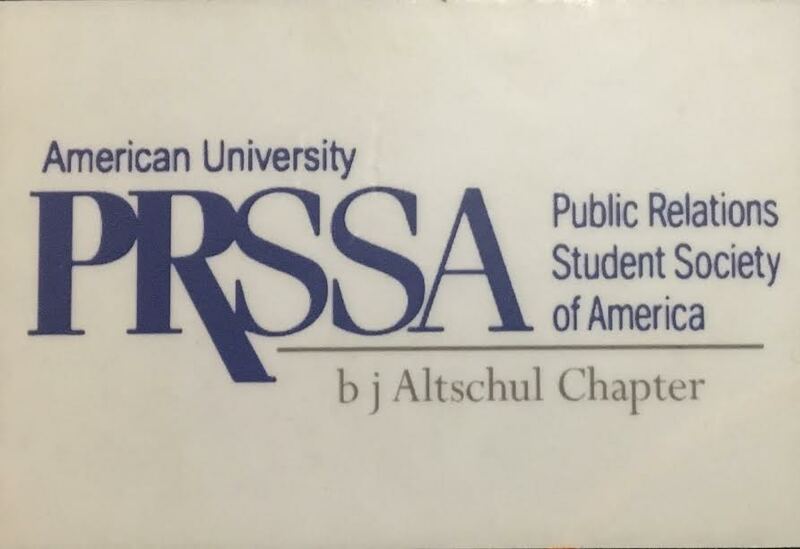 AU’s Chapter of the Public Relations Student Society of America (PRSSA) offers a great networking opportunity for budding PR gurus. According to current PRSSA President Melanie Salemno, the organization dedicates their chapter to bring advertising, public relations, marketing and communication students together both professionally and socially. “Our members create large networks on campus and across the nation. PRSSA opens doors by granting student members access to exclusive internships, scholarships, firm site-visits and guest speakers,” said Salemno. Students in PRSSA are encouraged to explore all aspects of the field before diving into the real world. Spoon AU offers students writing, marketing, photography and videography opportunities all centered around food. Students cover recipes and food festivals, recommend restaurants and give tips on eating in college. “It’s truly amazing getting a firsthand perspective of the food industry, and all the work that goes into it,” said photo director Lindsey Smith. Smith added that the publication has taught her about being part of a team. Plus, it’s given her a lot of free food. 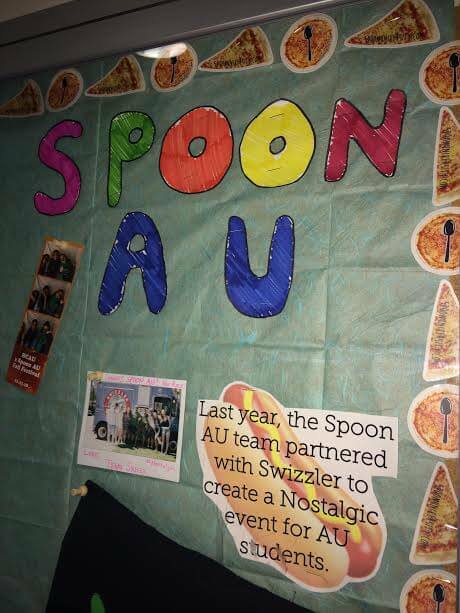 Aside from the constant topic of food, Spoon AU allows students to develop their skills. The extensive network opens the door for opportunities in the professional world. American Literature (AmLit) provides a platform for students to express themselves through poetry and literature. In the Fall 2016 edition, the editors described the magazine as “a glimpse into the heart of our campus community.” Current Editor-In-Chief Emma Bartley said everyone has something valuable to bring to the table and you don’t even need to be an artist or a writer to join the conversation. 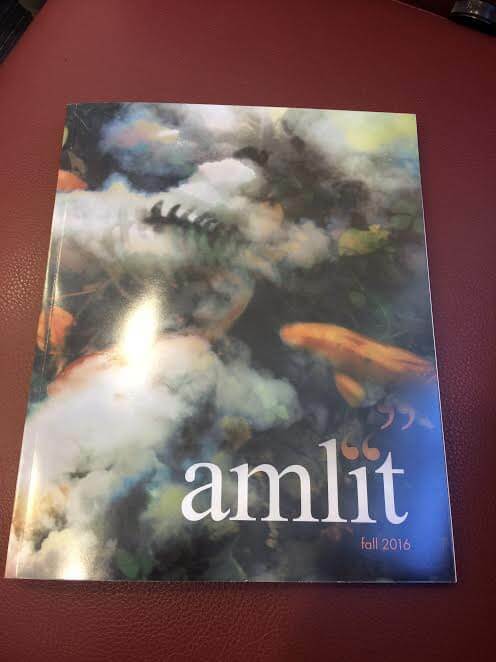 AmLit offers positions in writing, editing, design and blogging all centered around poetry, prose, art, photography and short film. The editors for each of these genres lead review sessions, pose questions to the writers and host workshops to help their staff improve. I am a junior studying broadcast journalism at American University. I am obsessed with my dog and would die to see the Mets win the World Series.